for growth-focused product companies in Atlanta, GA. 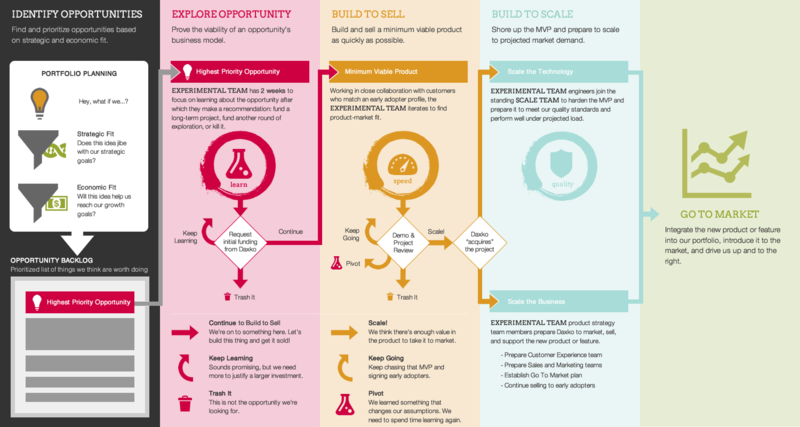 I created this process to help Daxko embrace Lean Startup ideas to pursue new product opportunities. This model uses drip funding and frequent stakeholder check-ins to make more palatable the risk inherent in attempting to discover new products and markets. We used this model to quickly assess over a dozen opportunities, including one home run that went from concept to revenue generation in under three months.